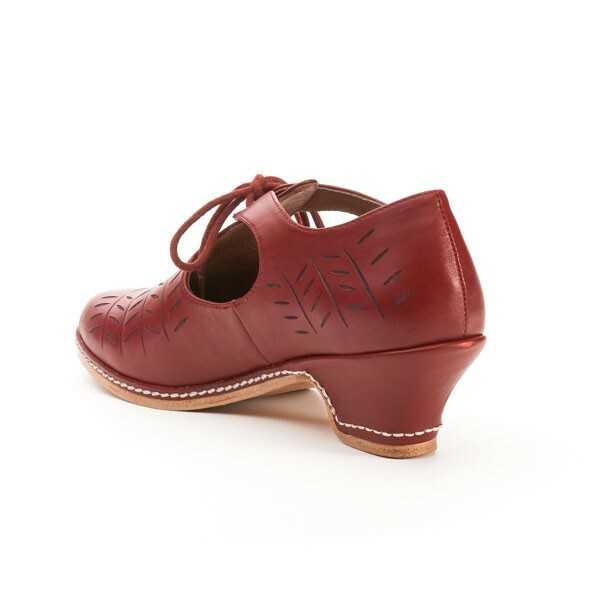 I'm so happy to present to you "Stratford" Elizabethan Shoes, the product of blood, sweat, tears, and a great collaboration with Francis C. Classe, an excellent historical cordwainer (shoemaker) and footwear historian. We're running a pre-order on Strats, through January 1st. During that time, you get a swish $20 discount, and if you're in the USA, you get free standard shipping too. Edit: The men's sizes unfortunately did not sell, so we have had to cancel them. Only women's sizes 6 - 11 are available now. Sorry, guys! 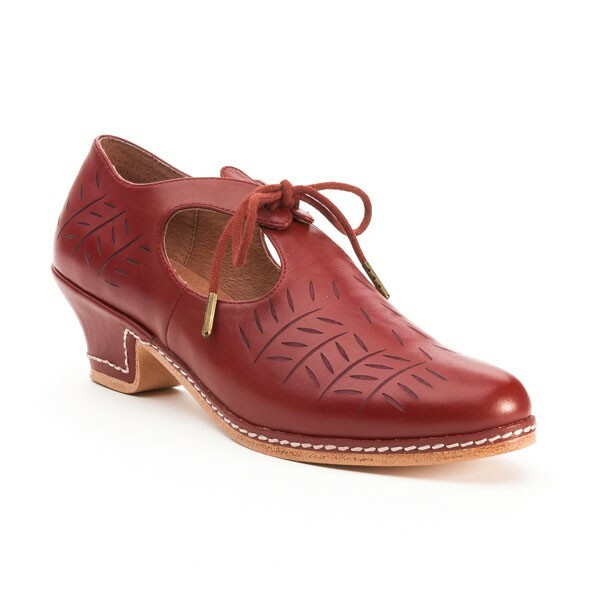 Stratfords come in black or oxblood red 100% leather, are lined in leather, and have one heck of a thick leather sole. 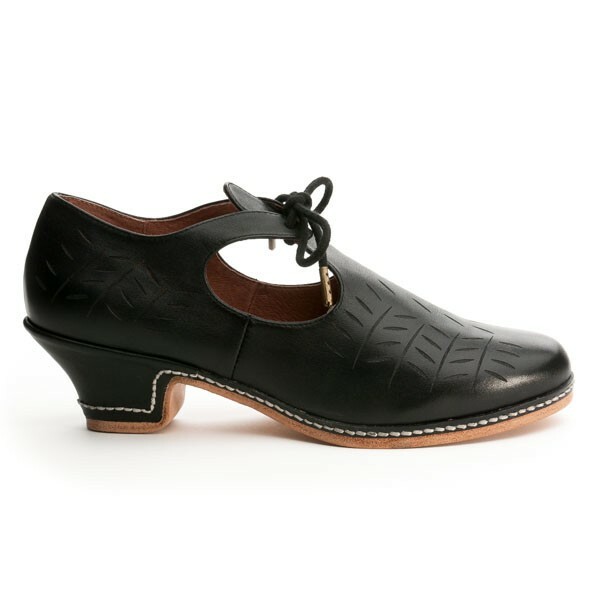 They lace closed with a t-strap, and have a 2 inch, custom-made heel. Of course, the coolest most cool thing about Stratfords is that they are our first "Signature" shoe, and feature Francis' signature down the insole. Francis, who has spent years researching and learning how to make these shoes, also gets a share of the profits. Together we've created a gorgeous reproduction that benefits everyone - you the costumer, the international costuming community, and the artisan himself. and help us reach the minimum number of orders needed to make Stratford a reality! I have to tell you that these are cute enough to wear with jeans! Love them, and I'm not usually into Renascence clothing. I hope the Savoy will be released some time in the future. I really loved the detail. Stratford won the vote by over 60%, but of course Savoy will be released next year. It's way too pretty not to. Now I just have to decide between oxblood and black. I would get both but I have my heart set on a pair Claremonts and Skidoos. Thank goodness you have lay-a-way. Beautiful! Mostly I am incredibly excited that you are offering a men's/crossover shoe - are you possibly considering other styles of men's shoes in the future?